For OmniFaces I've recently looked for the least intrusive way (i.e. no custom component/tag/renderer boilerplate necessary) to add HTML5 specific <form>, <input>, <textarea> and <select> attributes like placeholder, autofocus, type="range", etcetera. 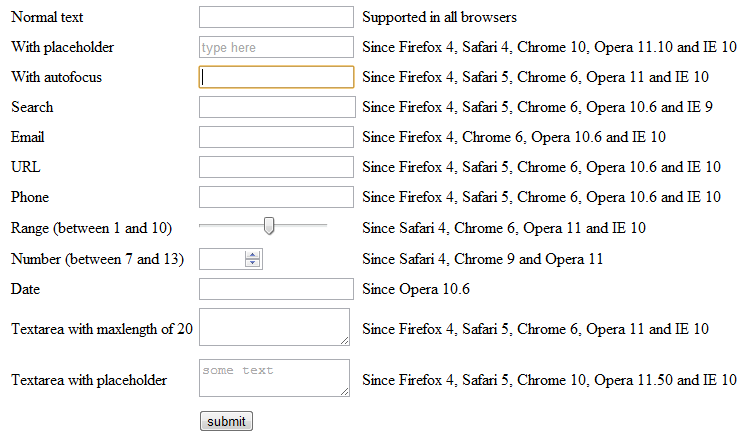 You can learn about all of those new HTML5 attributes in html5tutorial.info under the section "Web Form 2.0". The JSF renderers by default ignores all attributes which are not officially supported by the components. After some thinking, this appears the best to achieve using a custom RenderKit which returns a custom ResponseWriter wherein the startElement() and writeAttribute() methods are been overridden to check for the current component and if the developer has specified any custom HTML5-related attributes. This way the developer can just add them to standard JSF <h:form>, <h:inputText>, <h:inputTextarea> and <h:selectXxx> components. The result was a new OmniFaces feature: Html5RenderKit (source code here). This will be available as per OmniFaces 1.1.